"All the world‘s a stage, and all the men and women merely players." Visit and experience the local cuisine, traditional towns and villages and watch the history come alive as you explore William Shakespeare's birthplace. There is so much to see and do you will need to plan your visit before you get here and if you decide to stay a while there is a wide range of accommodation to choose from. Since 2008, Stratford has hosted the Stratford-upon-Avon Literary Festival, which comprises of two literary events a year, one in spring and a shorter festival in autumn. You can enjoy a picnic in the popular Bancroft Gardens and river area while watching the river activities such as rowing, motor boats and cruises along with the many entertainers who often perform on the river bank. While in Stratford you can visit the five houses relating to Shakespeare's life which is owned and looked after by the Shakespeare Birthplace Trust. These include Hall's Croft (the one-time home of Shakespeare's daughter) and Nash's House, which is on the same site as New Place which was owned by Shakespeare himself and where he died. In Shottery is Anne Hathaway's Cottage, the home of Shakespeare's wife's before they married. Mary Arden's House, the family home of Shakespeare's mother. The first theatre in Stratford was a temporary wooden construction built in 1769 by the actor David Garrick for his Shakespeare Jubilee celebrations to mark Shakespeare's birthday. In the early 1870s, the local council were gifted several acres of riverside land on the understanding that a permanent theatre be built in Shakespeare's memory, and by 1879 the first Shakespeare Memorial Theatre had been completed. Other attractions include the Stratford Butterfly Farm and Stratford Armouries which are both in close proximity to the town centre. For a day out with the kids why not visit Twycross Zoo which is home to over 900 animals of more than 150 species. 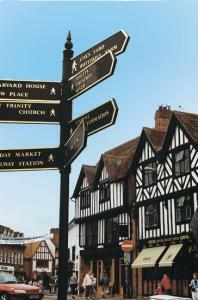 Visit the attractions in Stratford upon Avon and the surrounding area to enjoy any time of year, whatever the weather! Visit major high street shopping names alongside quality independent shops, it's a great place to find something different. 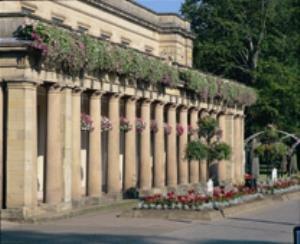 Shakespeare Country has a concentration of excellent restaurants within a few minutes walk of the Theatres. "Can one desire too much of a good thing?" Check out our page about all the places to stay in Shakespeare Country. We have individual pitches, nineteen of which have electric hook-ups, a toilet and shower block, and an attractive rally field capable of comfortably accommodating sixty caravans. Stratford-upon-Avon's 5 * Gold Award guest house dedicated to providing genuine, personal hospitality to ensure pampering and relaxation in 'chic' boutique accommodation - stay - enjoy - indulge! Welcome to the award winning Holiday Inn Express Redditch near the M42 Jct2 / Jct3 and within easy reach of Birmingham's NEC, NIA, ICC and the surrounding area. The Noel Arms, a traditional coaching inn, in Chipping Campden, with restaurant, bar and coffee shop. 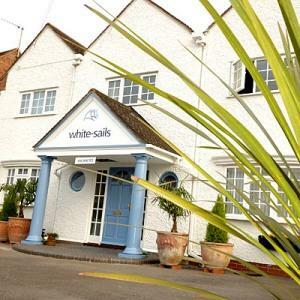 Hotel providing easy access from all major midlands road networks, sitting just off Junction 15 off M40, close to towns of Warwick and Stratford. The hotel is a modern building that has recently been refurbished. 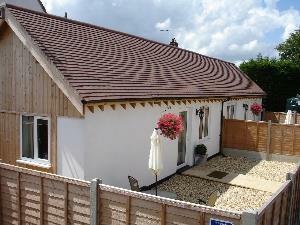 It is conveniently located between Warwick and Stratford at the heart of the motorway network. 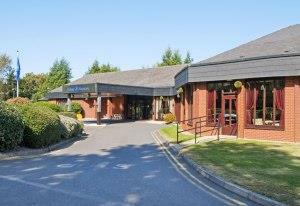 Chesford Grange sits in idyllic surroundings at the very heart of the Warwickshire countryside. The 17 acres of private gardens lead down to the River Avon at the rear of the hotel. Shakespeare Country consists of many major towns along with some smaller towns and villages which have lots of places to visit. You can visit Coventry and see the majestic St. Michael's Cathedral with is Coventry's best-known landmark but the town is also home to War Memorial Park which is host to a range of music events. Why not take some time to visit Warwick and the medieval castle founded by William the Conqueror or the Collegiate Church of St. Mary where you can view the city from the tower. If you fancy a day out in an Area of Outstanding Natural Beauty then take a trip to the Cotswolds, designated in 1966, which is over two thousand square kilometres and is the largest in England and Wales. Of course, you can visit the historic town of Stratford to learn the history of William Shakespeare or relax by the river Avon. If you are looking for somewhere to eat, visiting The Cross pub in Kenilworth is a must as it received a Michelin star in 2014. With a full calendar of events to enjoy year-round, Shakespeare Country is the place to be! From historic events and informative walking tours to family events and activities, there is so much going on in Shakespeare Country you will not want to miss! With so much to see and do in Shakespeare Country, we have put together some itineraries to help you make the most of your trip.